There is no written homework tonight!! There is no written homework tonight! Prepare for your test that will be given tomorrow. Workbook p.43-44 # 2,7,10,11,15,22,24,29,30,32,33,34,35,36. All work and checks in your notebook. Your test will be given on Thursday. Study by following the outline given in class today. Your test is on the polynomial notes and finding the degree of a polynomial, the properties of real numbers, and solving equations. Please review solving equations by using your flow chart. Workbook p. 39 #2,3,8,12,13,14,15 and p.41 # 2,3,6,9,12,13,15. Solve and check each equation in your notebook. Finish up your Easter graphiti for tomorrow. You will be having a test next Thursday on the polynomial notes, the properties of real numbers and solving equations. Workbook p. 19-20 2-34 odd. Complete Castle Learning assignment on the Properties of Real Numbers. For this assignment there is no need to show any work on LL. Workbook p. 13-14 2-36 even. There is no written homework tonight! Make sure that you have the second percent review paper completed and in class for tomorrow. Prepare for your test on percent. Remember, you can go to mathbits.com and go to Math Notebook (Grades 6-8). You can do the practices I showed you in class today!! Complete the second percent sheet for Friday. You will be having a test on percent on Friday. Complete the Percent Review Sheet for tomorrow. You will be having a test on percent on Friday. Finish up the paper, Best Deal for Your Buck?" for tomorrow. Complete the last page in your percent booklet for tomorrow. Remember that all necessary work is to be done on LL. Get your quiz signed and make corrections. There is no written homework tonight! You do have your quiz tomorrow on percent and box plots. Friday you will be having a quiz on % concepts and completing a box plot. Please review changing a fraction to a percent and a decimal, finding the % of a number, and finding the percent of increase or decrease and drawing a box plot. For Tuesday you must have all of the math done for your project. That includes the mean, median, mode and range and all of the percents. We will work on the cover and the box plots on Tuesday and then we will be finished!!! Complete the page in your booklet, Riddle Math. Make sure that on LL you show me all of the steps needed to complete the problems. You must have your candy in school for tomorrow! Complete p. 249-250 #1,2 6-10 for tomorrow. We will be doing the candy activity on Thursday! Remember your candy hearts or skittles for tomorrow's math class! Draw two box plots from the Trash Hoops data. One should be on the class results for shots made and on should be on the class results for shots taken. These graphs are to be done using and ruler and on LL. Remember your candy for Tuesday, February 5. Complete the first page of your percent booklet for tomorrow. Complete the chart from the activity completed in class today. Complete workbook p. 197-198. Please get your quiz and test signed. Continue studying your flashcards. Your quiz on fractions/decimals/% will be this Friday. You should study 7-10 a night in order to prepare. Please get your quiz signed. Start studying your flashcards. Your quiz on fractions/decimals/% will be this Friday. You should study 7-10 a night in order to prepare. Some you will already know. Prepare for your test that will be given tomorrow. The test will include ratios, proportions, unit rate, problem solving with proportions and percent of error. Your worksheet on rates is due on tomorrow too! Start preparing for our test on Friday. The test on Friday will include ratios, proportions, unit rate, problem solving with proportions and percent of error. Your worksheet on rates is due on Friday too! You will be having your quiz on ratios tomorrow. Please make sure that you go over the information about a deck of cards for tomorrow's quiz. Your test will be given on Friday. 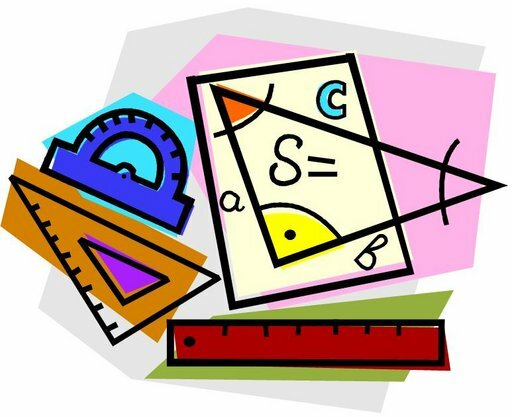 The test on Friday will include ratios, proportions, unit rate, problem solving with proportions and percent of error. You will be having a quiz on ratios on Wednesday of next week. Your test on ratio and proportion and on finding the percent of error will be given on Friday. For Wednesday you also need 25 small index cards. Complete the paper, Ratios and Proportions for tomorrow. All necessary work is to be done on LL. There is no written homework tonight! All make-up work is due by Friday the latest! The paper, Examining Ratios, is due tomorrow. All work is to be done on LL. You must have your Hot Wheels Car cover completed so you can print it when you go to Tech class this week. The worksheet, Examining Ratios, is due on Thursday. All work has to be shown on LL. You must have your Hot Wheels Car cover completed so you can print it when you go to Tech class this week. Your Hot Wheels Project should be submitted to Google Classroom by today. The paper, Signed Numbers Up and Down, will be due tomorrow. You must also have your Hot Wheels Car cover completed so you can print it when you go to Tech class next week. The paper, Signed Numbers Up and Down, will be due on Friday. You must also have your Hot Wheels Car cover completed so you can print it when you go to Tech class next week. Look over your calculations for percent of error. You must complete questions 1-4 on the Hot Wheels sheet for tomorrow. Make sure that each answer is in complete sentences and that your spelling and punctuation is correct. You should also have your calculated dimensions for your Dream Car. We will be doing percent of error tomorrow in class. Make sure that you have your car, ruler and specifications ready for tomorrow. Prepare for your test that will be given tomorrow. Your completed FACE-ing Math Activity is due tomorrow. Your specifications for your Hot Wheels car and your dream car are due tomorrow. This should be in your notebook. You will be having a test on working with signed numbers on Friday. Please review the worksheet we worked on. Your FACE-ing Math activity is due on Friday. Finish up the math for the FACE-ing Math activity for tomorrow. Do not draw or color in the face. Your specifications for your Hot Wheels car and your dream car are due on Thursday. This should be in your notebook. You will be having a test on working with signed numbers on Friday. Please review the worksheet we worked on. Complete the selected problems on the two-sided worksheet we started in class today. All work is to be done in a notebook. Finish up your Halloween graphiti. Tomorrow we will take the test that we did not take on Wednesday. You must also have your Goblin Goolash Activity completed. Tomorrow will be the first part of your test on the coordinate plane. Please make sure that you study the notes given to you on the subject. They are also online under Useful Links and Notes on this page. The graphing part of the assessment will be given on Thursday. There is no written homework tonight! Next Wednesday will be your first part of the test on the coordinate plane. The notes are online under Useful Links and Notes. The second part will be given on Thursday. Tomorrow you will be having your test on integers. In your workbook, please complete p.9 2-20 even, 26,28 and on p. 11 2-20 even. Your test on integers will be given on Thursday. In your workbook, please complete #2-56 even on p. 5-6. Your test on integers will be given next Thursday. There is no written homework tonight!!! Your completed booklet is due tomorrow. Please make sure that you followed all of the directions given in class. Your booklet on integers will be due on Wednesday, October 10. Your test will be given tomorrow. Continue working in the booklet on integers. Your test will be this Thursday. Please finish p.2 of your booklet tonight. Your test on Number Systems and what we have covered so far on integers will be given next Thursday. Tonight, start working in your booklet. Please complete p.1. The two-sided sheet on fractions is due tomorrow. All work is to be done on LL. Your test on Number Systems and what we have covered so far on integers will be given next Thursday. The two-sided sheet on fractions is due on Thursday. All work is to be done on LL. Complete only the even numbered problems on p.3-4. Complete p.2 in your workbook. Finish p. 1 in your workbook. Your booklet will be due on Tuesday. Please work on the last page. On Tuesday you will also have a quiz on classifying numbers. You need to use the handout and your notebook to prepare for this assessment. Complete the second page of the booklet which will be due on Tuesday. On Tuesday you will also have a quiz on classifying numbers. You need to use the handout and your notebook to prepare for this assessment. Start working in the booklet given out in class today. Please complete the first page. The second page of the booklet will be tomorrow's HW. On Tuesday of next week you will have a quiz on classifying numbers. You need to use the handout and your notebook to prepare for this assessment. Just a reminder that your summer work must be in class on Monday, September 10.